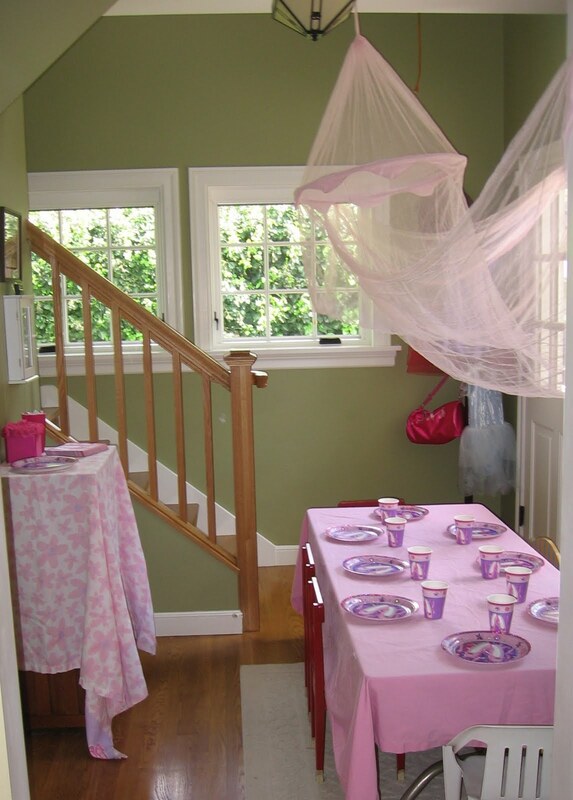 Bonggamom Finds: Throw a Fancy Nancy Tea Party! I love to read, and I love finding great books for my kids to read, and I love reviewing children's books on my blog. That's why I'm so excited to hear that TwitterMoms has just launched the TwitterMoms Reading Channel! I'm sure they'll be featuring lots of great books for kids, parents, women and families. What else, but pink, pink, and more pink? I used a pink bed sheet to cover the kids' table and found pink ballet-themed paper partyware on clearance at our local party goods store. The pink netted canopy was from IKEA and made the party area so festive. We asked the guests to come dressed in their fanciest princess dresses or ballet outfits, so the whole place was an explosion of pink. I bought some paper crowns, stick-on jewels and glitter glue, and the guests had so much fun creating their own princess crowns. Even the grownups got in on the act -- the crowns in the photo belong to me and my mother-in-law! The guests also got to decorate their own cookies, which were pre-iced with royal icing. All they had to do was color them in with food coloring markers, so it was pretty but not at all messy. I went with the "pink" theme and served pink iced cupcakes, strawberries, strawberry ice cream and pink lemonade. 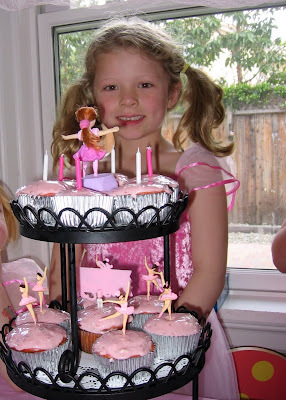 You can visit the Fancy Nancy site for more ideas, recipes and tips. Have fun with your own Fancy Nancy Tea Parties! Disclosure: I did not receive monetary compensation for this post. I wrote this blog post while participating in the TwitterMoms blogging program to be eligible to get a Fancy Nancy prize pack. For more information on how you can participate, click here. Unless clearly stated, the views and opinions expressed here are my own. I like the way you organize the party, the pink theme, tables and the cake it is awesome! Your angel will sure be having the best party.